Identify your Expertise is an information and networking event that took place in Tornio, Finland on 9 May. The event helped both creative entrepreneurs and students who are considering an entrepreneurial type of career to become more aware of the skills that they already have, which could in turn be commercialised and used to develop and manage a business idea. 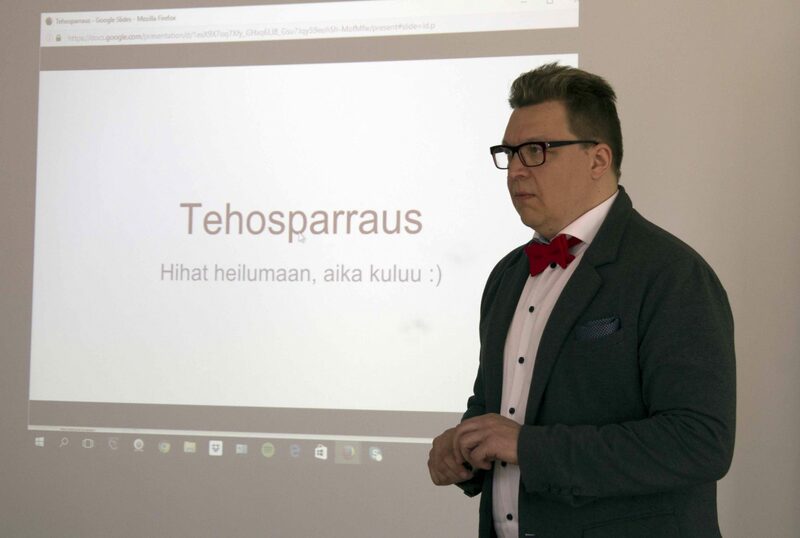 The keynote speaker was Antti Hyyrynen from Stam1na, a popular rock band from Finland. 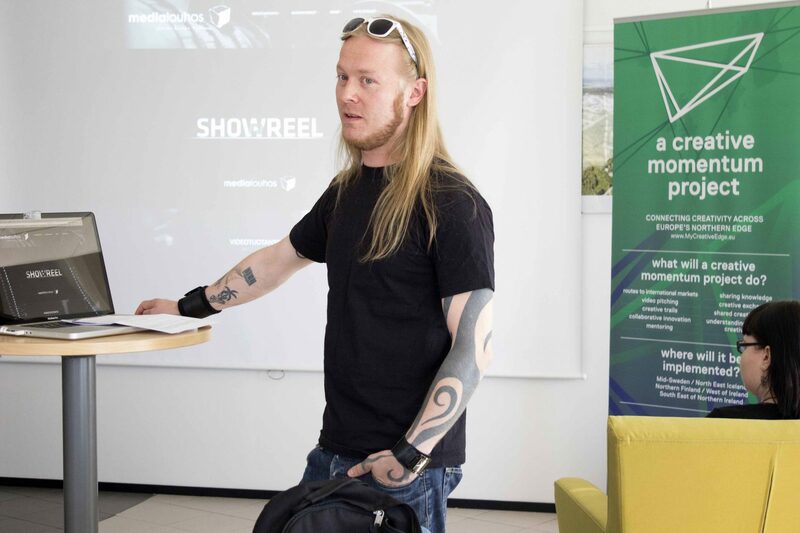 Antti, who co-founded a production company called Medialouhos and now runs it with 2 other colleagues, made reference to his experience of becoming an entrepreneur, pointing out the important role played by passion – in his case, sound and video. He emphasised the relevance of interpersonal skills as well as a somewhat bold attitude, which underlies the ability to fearlessly approach people in order to make business. 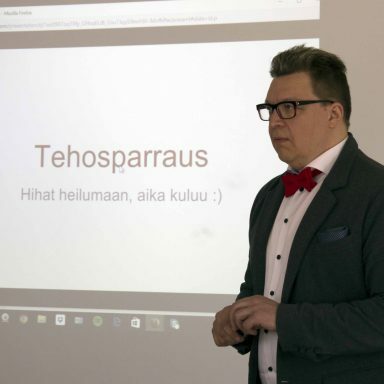 Jani Siivola was another speaker who shared his view on entrepreneurship with the audience. 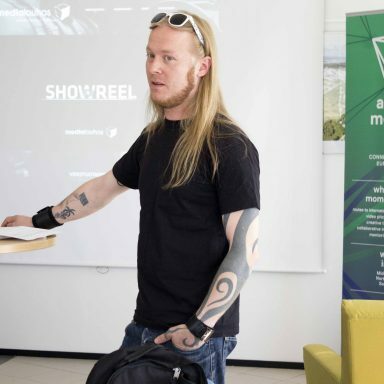 Jani spoke about his company – an advertising and consulting agency called Reddo Partners. He noted that, when Reddo Partners was established, the global financial crisis hit them, but they were able to overcome obstacles and achieve success partially because of their creative skills. Jani said that his entrepreneurial career has given him both freedom and the ability to do what he wants and loves. Jani also led a workshop focusing on the development of new business ideas. Three teams of students were given 10 minutes to think about 1) products/services and their advantages, 2) a business idea and a mission, 3) target groups and how to reach them 4) how to differentiate and 6) a sales pitch (specifically, the promise made to potential customers). We were delighted with how the event went and would like to thank the speakers and the audience for contributing to a great day!